The £6.5bn government-sponsored Thameslink Programme is transforming north-south travel through London Bridge. 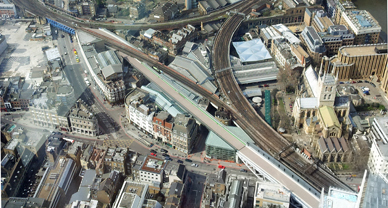 The Programme dates back to the early 1970s when it was proposed as the Borough Market Viaduct Capacity Enhancement Scheme. After going through various iterations, the project was given fresh life in the millennium and rebranded as the Thameslink 2000 (later TL2K) project. The scheme now included improvements to capacity and numerous stations throughout the South East rail network. At Borough Market, for example, a new viaduct effectively doubles the line capacity for all services into Cannon Street, Blackfriars and beyond. The ongoing Phase 2 will include the reconstruction of London Bridge and the completion of the viaduct. Drafting the Environmental Noise chapter of the Environmental Impact Assessment. In addition to the train rolling noise, noise from the PA system at Blackfriars Station to nearby residential and commercial neighbours had to be addressed. 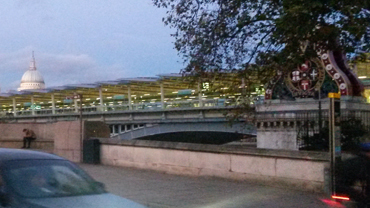 Because the new station extends across the whole of Blackfriars Bridge to a new southern entrance, the platform PA system was moved much closer to existing properties on the South Bank. 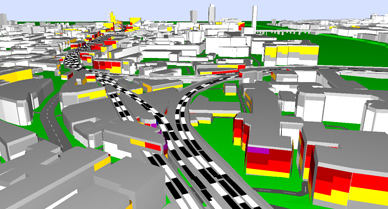 The proprietary software CATT was used to model the potential noise from the loud speakers to demonstrate that this approach was feasible. Highly Commended CEEQUAL Outstanding Achievement Award 2013 for the Historic Environment. It was the biggest EIA produced to date in the country. The experience we gained on this project has been carried across to our ongoing involvement with Temple Environment on the HS2 High Speed Rail Scheme.